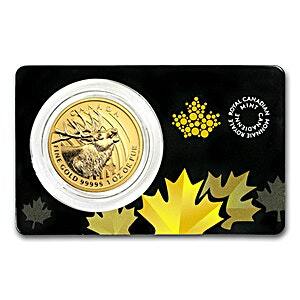 1 oz Canadian Elk gold coin minted by the Royal Canadian Mint. The reverse of the coin features the Elk, which is part of the deer family. 1 oz Elks are legal tender with CAD$ 200.